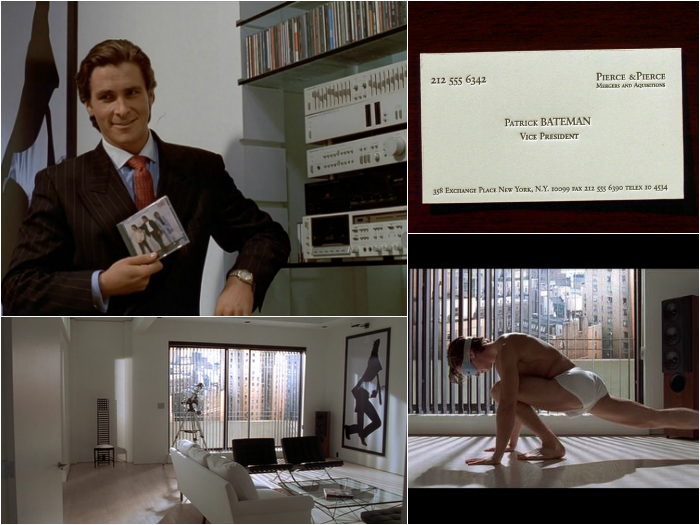 Patrick Bateman is young, white, beautiful, ivy leagued, and indistinguishable from his Wall Street colleagues. Shielded by conformity, privilege, and wealth, Bateman is also the ultimate serial killer, roaming freely and fearlessly. His murderous impulses are fueled by zealous materialism and piercing envy when he discovers someone else has acquired more than he has. An allegory for the extreme of capitalism, and the loneliness of wealth, the movie is a deeply disturbing looking into the psyche of a stylish, albeit unhinged overachiever. The movie is based on the infamous “Stanford Prison Experiment” conducted in 1971. 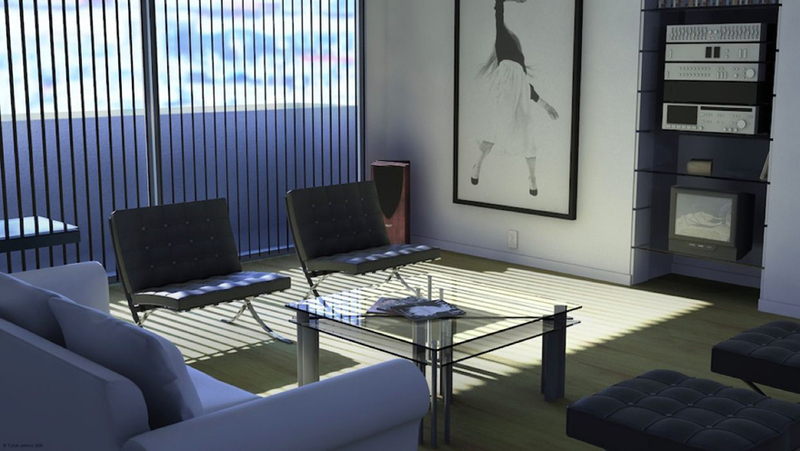 The apartment played just as prominent a role in the movie as Christian Bale. Production Design was by Gideon Ponte with Set Decoration by Jeanne Develle. The dwelling is crisp, stark and spartan. Its only colors are black and white with shadowed hues coming in through the blinds. Nothing appears comfortable. Everything is modular and just so – not a hair or speck out of place. Uber contemporary, light filled apartments tend to be a bit too OCD and clinical for my liking. You can’t deny that Mr. Bateman’s got style (or purchased it). 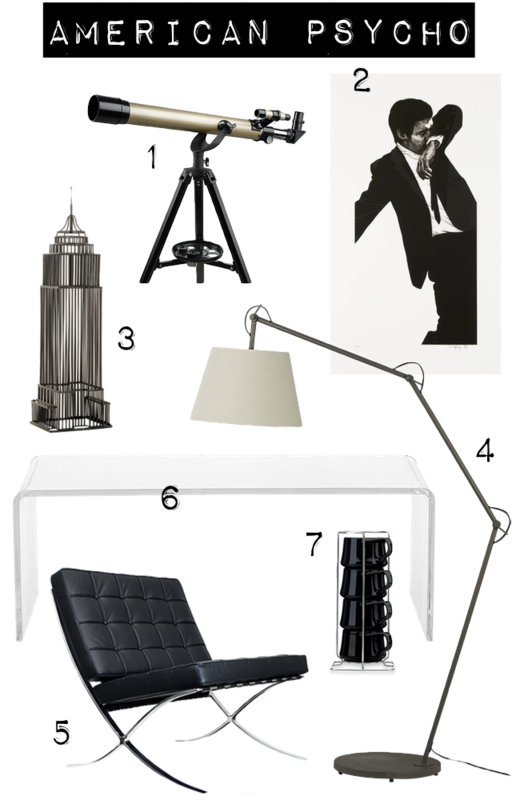 Those Barcelona Chairs, that print by Robert Longo (Untitled, charcoal, graphite, and ink on paper; 1981)!